YANGON — Kyaw Soe Win, who was jailed from 1992 to 1998, now leads AAPP(B)’s work with ex-prisoners suffering mental health problems. “Friends, colleagues provided the photos to us,” he said of the hundreds of images, some grainy, faded, black and white, and dating to the 1960s. 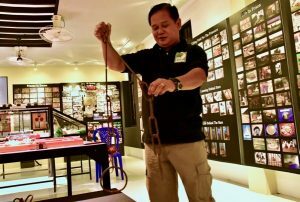 Inside the museum is a plastic table-top model of Insein, crafted by Htin Aung, another former political prisoner who works with Kyaw Soe Win. The display occupies the middle of the room alongside smaller examples of art and craft works by ex-detainees, as well as rusted shackles worn by prisoners forced to work in chain gangs in remote areas. RANGOON — One of Burma’s thousands of former political prisoners, Bo Kyi fled to Thailand after he was freed from jail in 1997. He then spent the best part of 2 decades keeping track of and lobbying for the release of others jailed in his homeland for opposing the country’s former military dictatorship. His Assistance Association for Political Prisoners (Burma), or AAPP, opened an office in Rangoon, after Burma, officially known as Myanmar, after the army surprisingly handed power to a civilian government in 2011. 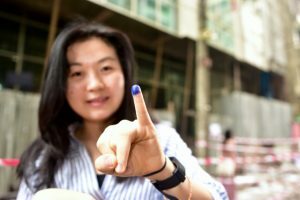 The high point of that transition came in 2015 when the National League for Democracy, the party led by Aung San Suu Kyi, probably the world’s best known political prisoner since Nelson Mandela, won parliamentary elections. But now, three weeks after the AAPP opened a museum in Yangon commemorating those jailed fighting for democracy, Bo Kyi is angry. “We have a hybrid regime, we do not have democratic government, we still have political prisoners,” he said. JAKARTA – Former U.S. ambassador to the United Nations and New Mexico governor Bill Richardson has a record of freeing detainees held by some of the world’s harshest dictatorships. But in working for the release of detained Reuters journalists in Myanmar, he hit a brick wall. “I had success in freeing prisoners in Sudan, Cuba, North Korea, Mexico,” said Richardson, a former cabinet member under U.S. President Bill Clinton, in a telephone interview from his office in the New Mexico capital of Santa Fe. But Richardson could report no such triumph after interceding last week with Myanmar’s de factor leader, Aung San Suu Kyi — herself a former political prisoner — over the two journalists, who face over a decade in jail for alleged breaches of the country’s state secrets law. 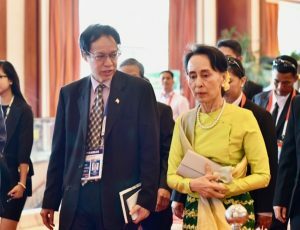 According to Richardson’s account of their Jan. 22 meeting, Suu Kyi, who won the 1991 Nobel Peace Prize and who now holds the official title of state counsellor, bristled when he raised the detention of journalists Wa Lone and Kyaw Soe Oo, arrested in mid-December. He suggested her reaction was stronger than those of some of the most notorious leaders of other authoritarian regimes he has dealt with. 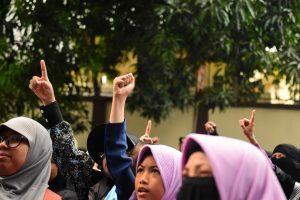 JAKARTA — Thousands of Indonesian Muslims chanting “Allahu Akbar” protested in central Jakarta on Wednesday at Burma’s treatment of its 1.1 million Rohingya minority. Around 146,000 Rohingya have fled Burma military counter-insurgency operations into Bangladesh over the past two weeks. The army’s reprisals came after Rohingya militants stormed Burma army and police posts in August. 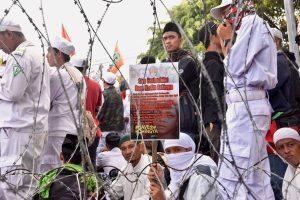 Wednesday’s protest was the fourth and biggest pro-Rohingya demonstration over the past week in the Indonesian capital, the commercial centre of the world’s biggest Muslim-majority country. The event was peaceful, though toward the end several dozen demonstrators tried to push through police barricades and razor-wire set up about 200 yards from the Burmese embassy. Overhead swung an effigy of the Buddhist monk Wirathu, leader of an anti-Islamic movement in Burma that has been blamed for stirring anti-Rohingya feeling in the predominantly Buddhist country. 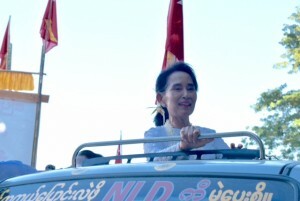 YANGON — Aung San Suu Kyi, Myanmar’s de facto leader, made a rare admission of fallibility in a televised address to the nation on March 30. “We did what we could for the sake of our country and the people in the first year,” she said in a speech marking the first anniversary of her civilian-dominated government. “We know that we haven’t been able to make as much progress as people had hoped.” That seemed an uncharacteristic acknowledgement of a sputtering economy under her National League for Democracy-led administration. Key economic data suggest that “progress,” as Suu Kyi herself conceded, has slowed. Approved foreign direct investment is estimated to have fallen by a third in fiscal 2016, which ended on March 31, from the record $9.4 billion achieved in fiscal 2015, the last year under the government of former President Thein Sein. Annual growth in gross domestic product is expected to slow to 6.5% in fiscal year 2016, from 7.3% the previous year, according to the World Bank. 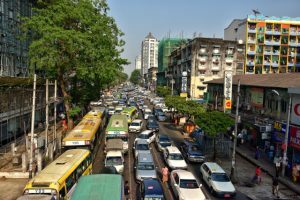 YANGON — Numbering around 1 million people living in western Myanmar, along with several hundred thousand refugees and migrants in neighboring countries, there are few peoples in the world as marooned as the Muslim Rohingya. Most are stateless, denied citizenship by Myanmar due to a 1982 law dictated while the country, then known as Burma, was run by the army. But the end of dictatorship in 2011 and the rise to power of an elected government last year — headed by one of the world’s best-known former political prisoners Aung San Suu Kyi — has done little to help the Rohingya. “They have been suffering, they are being tortured and killed, simply because they uphold their Muslim faith,” said Pope Francis in his latest weekly audience Feb. 8. YANGON — Myanmar’s minority Muslim Rohingya are holding fast to their identity in the face of official discrimination, public scorn and military action. Excluded from Myanmar’s 2014 census unless they assented to the epithet “Bengali,” most of the country’s roughly 1.1 million Rohingya live as virtual aliens in Rakhine State in western Myanmar. 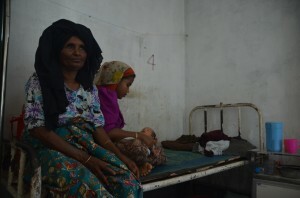 How long they have lived in Rakhine State and under what name is a highly contentious matter in Myanmar. “The Arakanese people and the Myanmar people do not accept the term Rohingya,” said Aye Maung, chairman of the Arakan National Party, the biggest party in Rakhine State. Like the Myanmar government, Aye Maung refers to the Rohingya as “Bengali,” implying that the Rohingya are foreigners. Rohingya disagree. “Nobody can deny us to call ourselves by our name, that is our right,” said Tun Khin, president of the Burmese Rohingya Organisation UK.